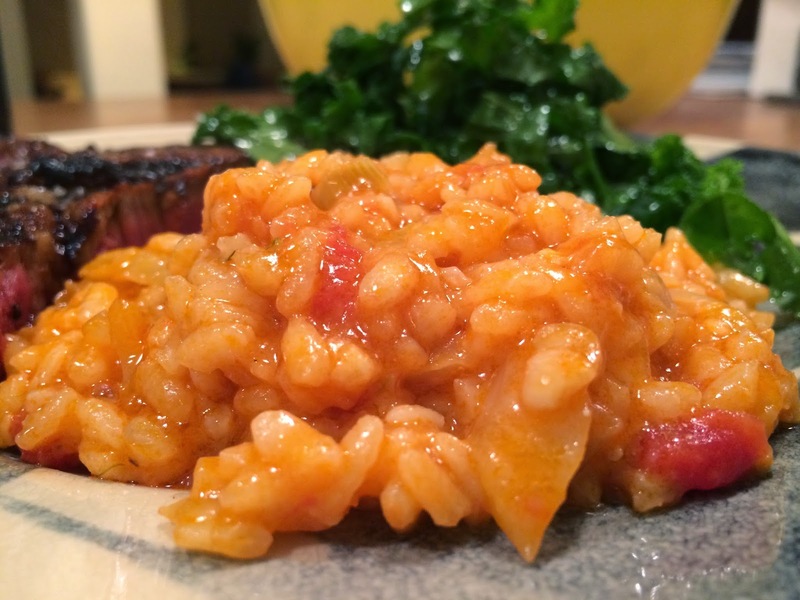 This is a great risotto to make when you’re in the mood for red sauce but pasta just isn’t doing it for you. I find it easiest to start by making four cups of chicken stock from concentrate and leaving it in a pot on the stove over very low heat. Thinly slice a large fennel bulb and shallot and sauté with a generous amount of butter and extra virgin olive oil in a large pan. When they start to brown stir in two minced garlic cloves and a cup of risotto making sure to coat evenly before adding a half a cup of dry white wine. Simmer until the wine is nearly absorbed then add a cup of your favorite marinara and stir well. For the next thirty minutes or so add a half a cup of chicken stock at a time stirring a bit each time until the liquid is absorbed then repeat until the rice is al dente…you may not have to use all of the stock. While still on the stove add at least a half cup of grated parmesan, a little chopped parsley, and salt and pepper to taste, let sit for a couple of minutes then serve.